If you’re still looking for something different and/or special for older snow enthusiasts, the following suggestions are discounted for SeniorsSkiing.com followers and can be ordered online. 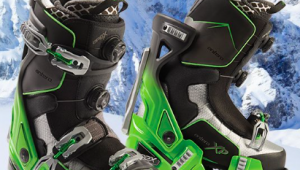 APEX Boot System is offering 20% off retail for SeniorsSkiing.com readers. This is the boot many olderskiers are talking about. It’s a good performer, comfortable, and let’s you walk with ease. No issues getting it on or off. Enter Senior3000 at checkout. 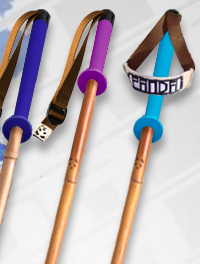 Panda Poles have bamboo shafts and are beautifully hand-crafted in Idaho. SeniorsSkiing.com subscribers get a 30% discount off the regular price of $95. Enter SENIORS30 at checkout. 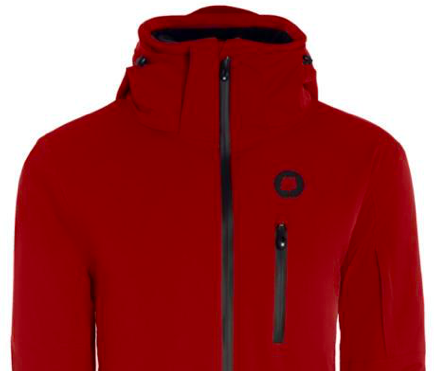 Orsden makes wonderful parkas and pants in great colors. They’re sold only online. Comparable products in stores sell for twice as much. SeniorsSkiing.com subscribers get a 30% discount through December 31. Enter WINTER30 at checkout. The Buffalo Wool Company makes socks, gloves, hats from bison down mixed with silk, yak, wool, and cashmere. SeniorsSkiing.com subscribers get a 10% discount. Enter SeniorsSkiing in the discount code window at checkout. DeBooter is a skiboot jack, that makes boot removal a breeze. 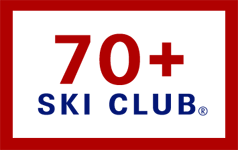 SeniorsSkiing.com subscribers get a 20% discount. Enter SENIORSSKIING at checkout. 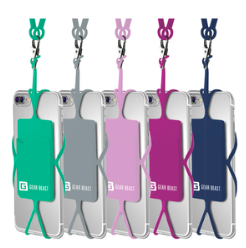 GearBeast is a colorful smartphone carrier attached to a comfortable neckstrap. While skiing, the phone is under the parka, keeping it warm, accessible, and safe. GearBeast has a little built-in pocket to carry credit card, driver’s license and a few bills. SeniorsSkiing.com readers receive a 20% discount (regular price: $9.99 – $12.99) by visiting gearbeast.comand entering SENIORS-SKIINGat checkout. 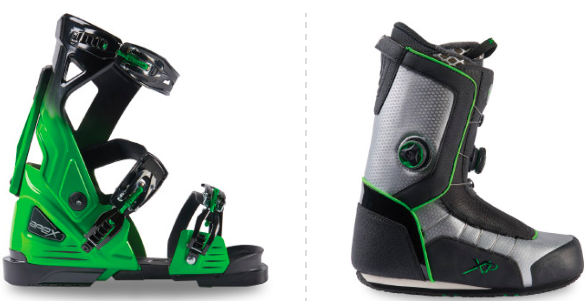 Try before you buy with the Apex boots. I was really excited by their ads and videos. Tried the HP boot last winter. Never could get them snug enough and had very little feel or control of the ski with my feet. Switched to a good Head demo boot and back to my usual self. Great idea, just make sure it works for you before you buy. Demo sites are listed on their website.